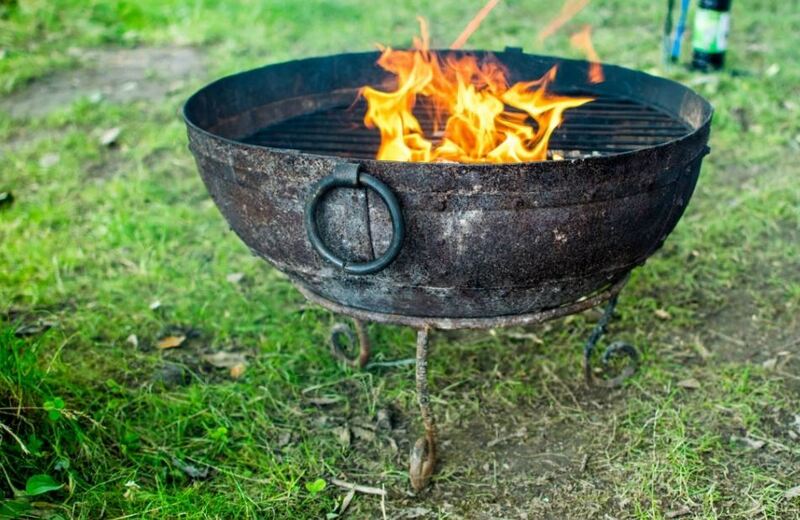 A fire pit can be a perfect addition to your home’s outside decor. It makes your space brighter, warmer, and more inviting for most of the year. Although fire pits and outdoor fireplaces are getting extremely popular, a surprising number of homeowners limit themselves to kits and prefinished products – whatever is available at their nearest hardware store. A custom-designed outdoor fire pit does more than simply add ambiance at night. It can become the center of your entire outdoor space. Sound design principles can produce beautiful results in virtually any space and any budget. Shoreline Pools would be happy to help you explore your full range of firepit options and significantly enhance your property. Fire pits are popularly placed close to hot tubs or swimming pools. This is a logical and convenient choice, as a roaring fire makes the perfect follow-up to a bracing dip. Other owners like to situate fire features as close as possible to their home so that they are visible from inside as well as outside. A traditional stone fireplace could integrate well into a porch or deck if you are favoring rustic design cues. If your outdoor focus is on your foliage, you could site your fire feature as a transition between hardscape and garden. Note that fire pits and fireplaces need to be installed with sensitivity to your prevailing climate. If your home is in a very rainy region, for example, you need to account for rainwater drainage when you set up a fire pit. With a custom fire feature such as an outdoor fireplace or pit, you’re not constrained to specific shapes. You could build a circular bowl firepit, a traditional fireplace, or a hybrid feature designed for indoor/outdoor use. Circular fire pits are great for establishing a casual, outdoorsy feeling. They make terrific centerpieces for social interaction. A double-sided design is perfect for larger areas, offering ample space to both sides. Well-designed fire features can even be functional as well as beautiful; a fireplace with a proper oven opening can become a center for cooking everything from barbeque to pizza. A fire is a perfect way to make your home more welcoming when you invite guests over. They can be equally entertaining when you’re relaxing on your own, though! Remember that a nicely-placed outdoor fire feature can be enjoyed both inside and outside your home. Even when you are focusing primarily on indoor entertainment, a well-placed fire pit can significantly enhance your environmental ambiance and make your home cozier. For colder months, consider your fire’s ability to warm up outdoor spaces. Citing the fire feature properly (in the angle of a wall, for instance) can make it reflect an impressive amount of heat. The size of your chosen design will dictate how many people can enjoy it at the same time. Pick out a feature based on the overall number of guests you expect to entertain. Larger pits suit larger crowds, and they can become even more welcoming thanks to added features like an extended hearth. Large fire pits lend an almost theatrical air to big outdoor parties. For smaller groups, though, a more modest fireplace delivers a cozy, intimate feeling. A very nice outdoor fire feature can be fit into a footprint as small as three feet by two feet. A smaller fire is ideal for family gatherings. The size of the crowd you plan to invite isn’t the only factor affecting your choice of fire feature design. You also need to think about the overall size of your outdoor space. Smaller backyards place a limit on the size of fire pits that will comfortably fit in them. Do not plan out a huge fire feature unless you have the space to enjoy it comfortably and safely!